Warriors and Fighters for the Warhammer game. Six pieces total. Some with swords and hatchets, some of stands, one is painted. 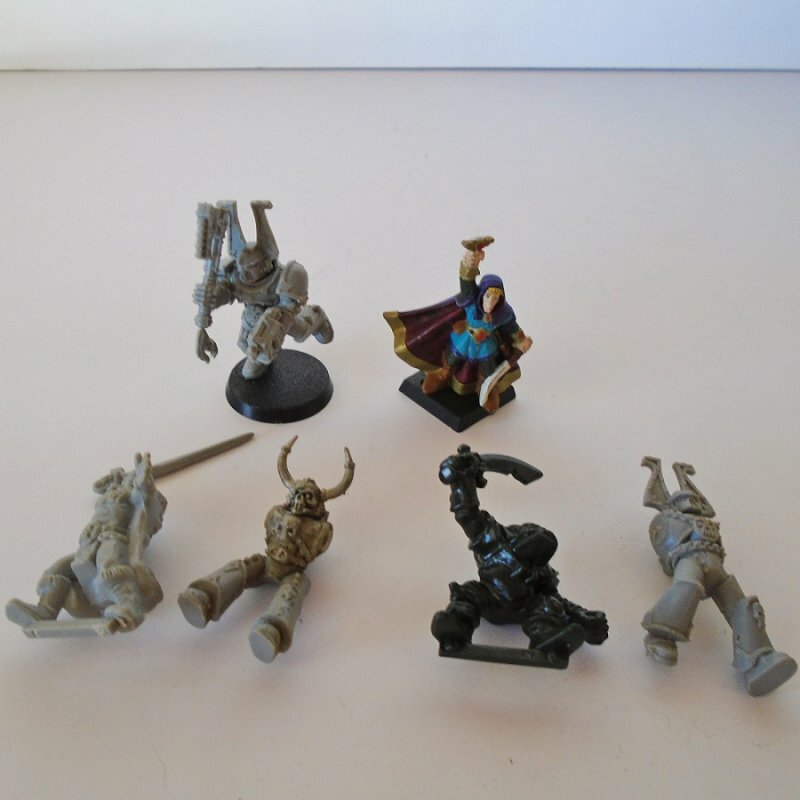 Offered in this listing are 6 miscellaneous warriors and fighting figures for the Warhammer game. Some of the warriors are swinging swords or hatchets, some are on stands and some are not, a couple are waiting for accessories to be added. One is painted. Buyer to pay $3.99 USPS First Class Mail Package shipping charges. Shipping is from Arizona.